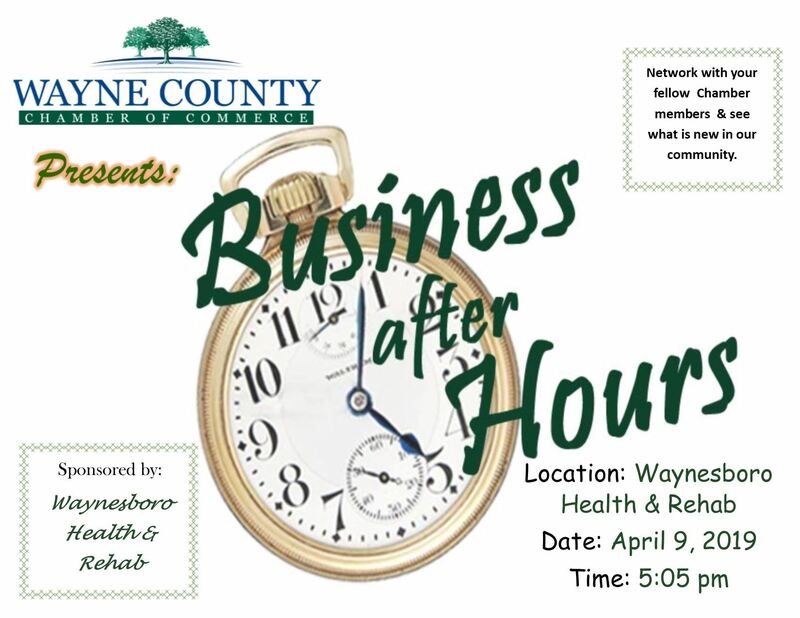 Waynesboro Health & Rehab, 104 J. V. Mangubat Dr. (behind the hospital) will be hosting our quarterly Business After hours event. We will begin at 5:05pm and anticipate to end around 6pm. There will be some important announcements that night that can affect Wayne County (in a good way) so be sure you attend and hear it first! Gathering throughout the year has become a great way to interact with your fellow Chamber members, exchange ideas with everyone, and keep you, the member, in touch with what your Chamber does for you. Light snacks will be provided. Please RSVP so we know how much these fine employees of H&R need to prepare. Thank you and look forward to seeing all of you there!